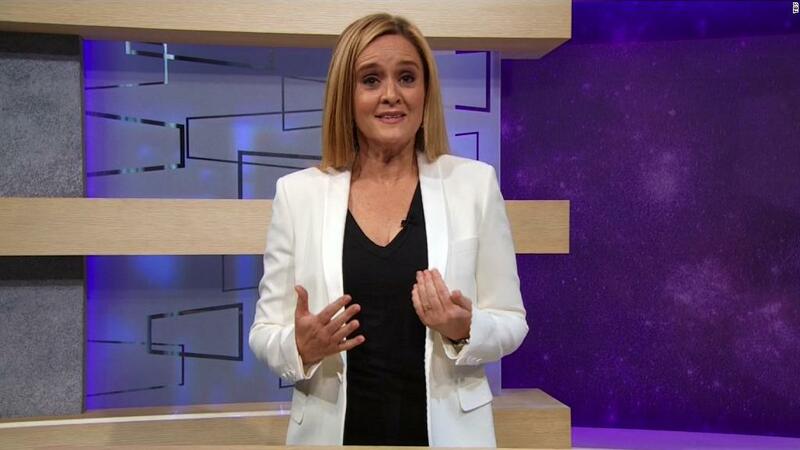 In a new episode of "Full Frontal with Samantha Bee" on Wednesday, the late-night host addressed the controversy over her use of a vulgar term to describe first daughter Ivanka Trump. Bee spoke directly to the camera for nearly two minutes before the show's opening credits. "You know, a lot of people were offended and angry that I used an epithet to describe the president's daughter and adviser last week. It is a word I have used on the show many times, hoping to reclaim it. This time, I used it as an insult. I crossed the line. I regret it and I do apologize for that. The problem is that many women have heard that word at the worst moments of their lives. A lot of them don't want that word reclaimed. They want it gone, and I don't blame them. I don't want to inflict more pain on them. I want this show to be challenging and I want it to be honest, but I never intended it to hurt anyone, except Ted Cruz. Many men were also offended by my use of the word. I do not care about that. I hate that this distracted from more important issues. I hate that I did something to contribute to the nightmare of 24-hour news cycles that we're all white-knuckling through. I should have known that a potty-mouthed insult would be inherently more interesting to them than juvenile immigration policy. I would do anything to help those kids. I hate that this distracted from them, so to them, I am also sorry. And look, if you are worried about the death of civility, don't sweat it. I'm a comedian. People who hone their voices in basement bars while yelling back at drunk hecklers are definitely not paragons of civility. I am, I'm really sorry that I said that word, but you know what? Civility is just nice words. Maybe we should all worry a little bit more about the niceness of our actions. Ok. Thanks for listening."